An 18th century painted Baroque chest of drawers. 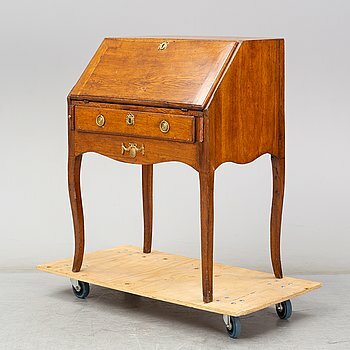 A first half of the 20th century writing desk. A second half of the 20th century writing desk. YNGVE EKSTRÖM, a 'Lamino' oak easy chair from Swedese. An end of the 19th Century bronzed and painted mirror. 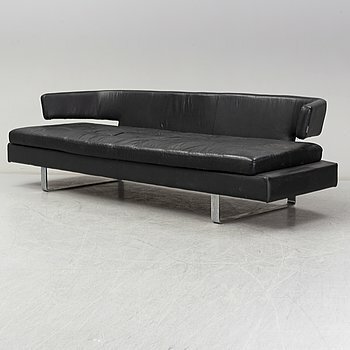 SPACE COPENHAGEN, "Spine", Lounge chair, Fredericia, Denmark, 21th century. Signed with label. An end of the 19th century mantle clock, Japy, Paris, France. A first half of the 20th century book shelf. 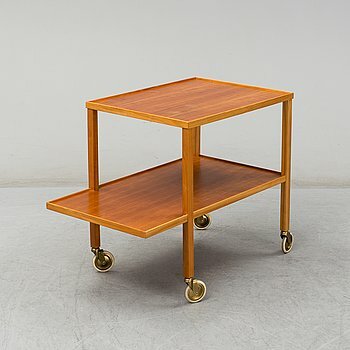 A table/bench by Roland Wilhelmsson, Ågesta, dated 1973. A Swedish Empire chiffonier, first half of the 19th century. a 1960's oak sideboard by Er4ik Wörtz for Ikea. 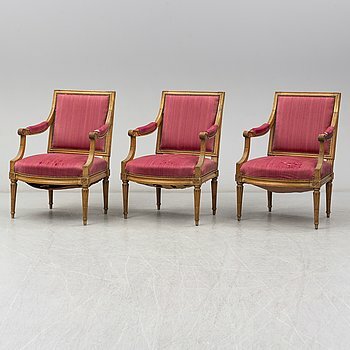 An early 19th Century late Gustavian armchairs. GILBERT MARKLKUND, stool, designed in 1969. A danish empire easy chair, first half of the 19th century. ANIKA REUTERSWÄRD, a 'Bas 2' coffee table. A teak veneered chair by N.A. Jørgensens Møbelfabrik / Bramin, Denmark. 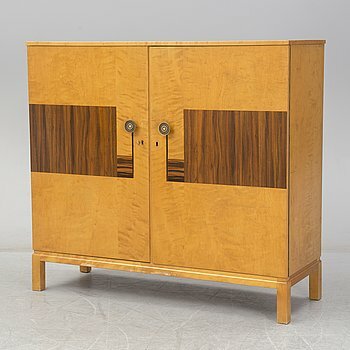 A second half of the 20th century sideboard. A pair of 1930-/40´s easy chairs. A 'Diplomat' coffee table by Josef Frank, Firma Svenskt Tenn.
A Gustavian style writing desk, early 20th century. A 19th century mahogany flower table. A garden sofa, table and a pair of armchairs, second half of the 20th century. A second half of the 18th Century chest of drawers. An 18th century rococo display cabinet. 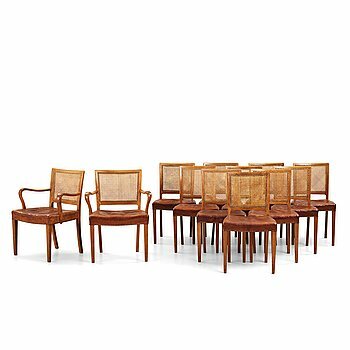 a set of 6 dining chairs and a dining table, Cado, Denmark. A 19th century mahogany casket. A circa 1800 late Gustavian corner cabinet. A pair of 20th century walnut veneere tables. A first half of the 19th century mahogany veneered cabinet. 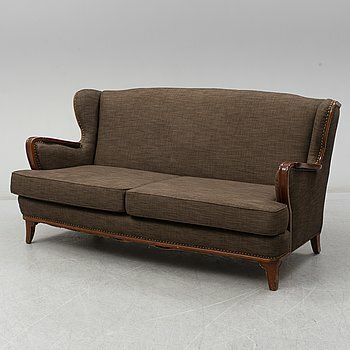 A mid 20th century sofa and two easy chairs. A pair of late Gustavian chairs, circa 1800. 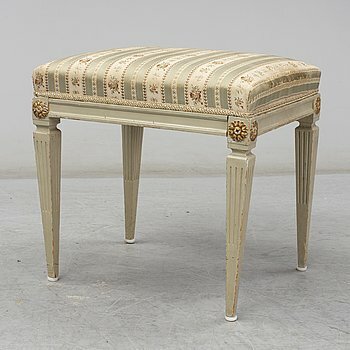 A circa 1900 Gustavian style console. 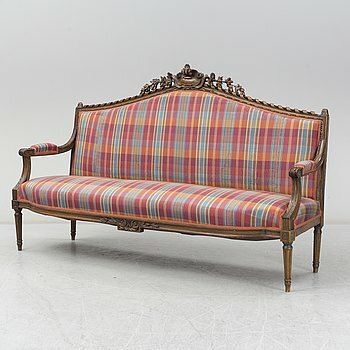 A second half of the 19th century daybed. A pair 0f 21st century bedside table. MARC NEWSON, chair, 'Orgone', designed in 1993. A second half of the 20th century mirror by Fröseke, AB Nybrofabriken. A second half of the 20th century chest of drawers. A pair of painted bedside tables, first halt of the 20th century. A pair of early 20th century empire style chairs. An early 20th century Gustavian style flower stand. A set of six chairs, second half of the 19th century. An 18th century late Baroque cabinet. Adolf Relling & Sigurd Resell, a pair of teak and leather "56/2 Bambi-series.